Bravery and belief are key to successful brands and careers in marketing, according to Wendy Clark, president of sparkling brands and strategic marketing at Coca-Cola North America. 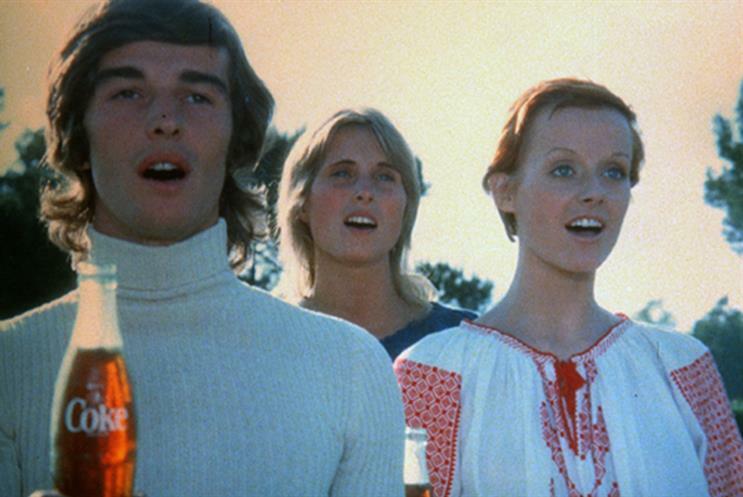 Speaking at a masterclass at the Cannes Lions, Clark used the tie-up with the last-ever episode of Mad Men, which ended with Coca-Cola’s iconic ‘Hilltop’ ad, to illustrate how belief can work in a marketers’ favour. She said that when Mad Men's creator, Matthew Weiner, approached Coke to use the ad, he "didn’t tell us how it would be used and under what situation it would be used", meaning the brand would have to cede control of what Clark describes as Coke’s ‘crown jewel’. "You could essentially call it a fireable offence to mess with 'Hilltop'," she added. Nonetheless, the partnership with the series has since been widely praised and earned Coke plaudits. "To have your entire ad run as the last 60 seconds of one of the most successful series in the country was an amazing gift, and an honour for us to be included – and something that wouldn’t have happened without a lot of belief on our side," said Clark. "Belief is one of the most powerful leadership tools that any of us has, I cannot overstate that," she added. Coca-Cola posted only one related tweet once the audiences in all the US time zones had seen the series finale, ran an outdoor ad on its billboard site in Times Square and sent the actors personalised ‘Share a Coke’ bottles with their names and their characters’ names. Explaining this relatively low-key activity, Clark said Coke "didn’t want to get too hamfisted". "It was more important for us to honour the viewer of this, the consumer, the lover of this, than to over-leverage and over-commercialise it." During the Q&A, several delegates broached the subject of health credentials of Coca-Cola products. One asked Clark whether she felt "guilty" that his children drank "three or four big bottles of Coke Zero" a week as it was not a "healthy" drink. Clark replied: "All of our beverages are completely safe and completely OK to drink. My children drink our beverages and I use them as great parenting tools, so they’re treats. If they are bad one day they don’t get a Coke or a Fanta. "We apologise for nothing in our beverages," she added later.